happy virtual pumpkin party!!!! i think this might be the best day of the year in the food blogging world. 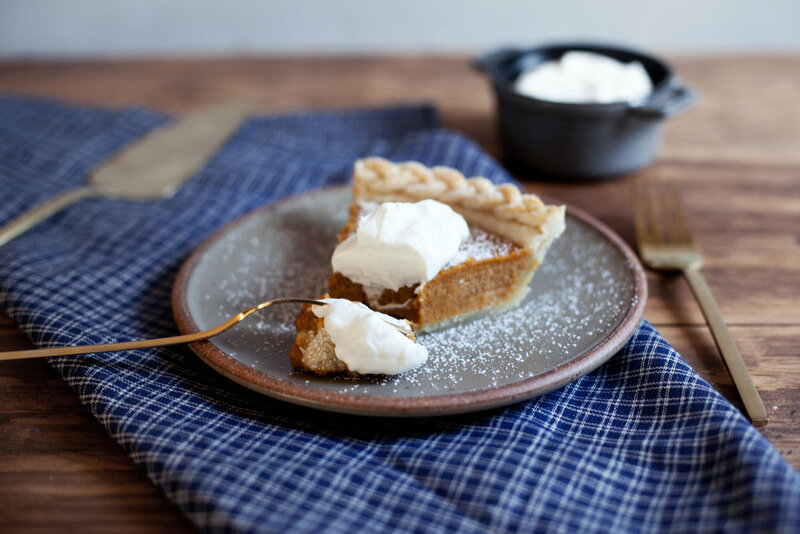 all of us food bloggers (okay not ALL, but a lot of us) have come together to blow up the internet with our favourite pumpkin recipes! from sweet to savoury to everything in between, we have you covered. this is my first year to the party & i am bringing this mascarpone pumpkin pie! 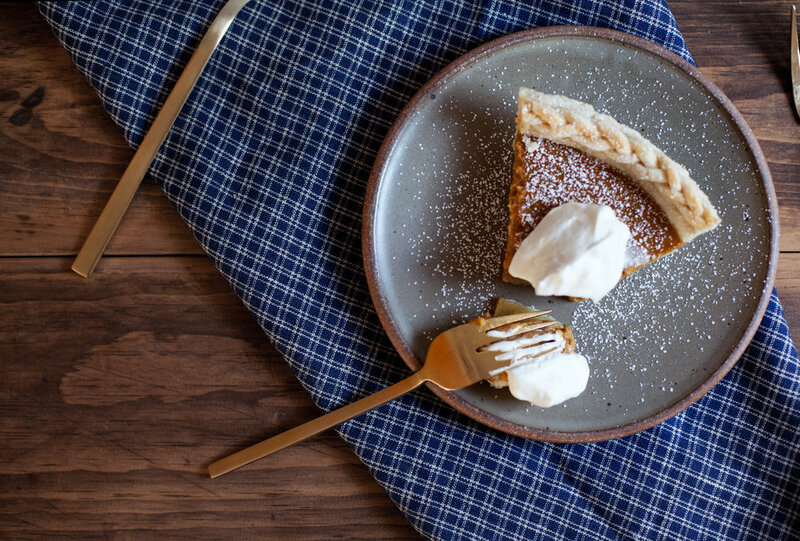 it is my little twist on the classic pumpkin pie. the mascarpone offers a lighter filling & i topped it with a marscapone whip because if you are splurging on this fancy cheese you might as well go all out. i used my classic crust of half butter + half shortening, but if you wanna keep it simple just use a store bought crust! anyways, enjoy the pumpkin party & check out all the other bloggers creations on sarah's blog cake over steak or aimee's blog twiggstudios. these two girls put together quite the round up this year! using a food processor pulse the flour, salt and sugar. add the cubed butter, shortening and vanilla. pulse until a crumb like mixture forms. roll out to 1/4 inch thick & line the pie plate. use remaining dough to create crust & top design. place in fridge until filling is ready. in a mixing bowl whisk together the pumpkin puree, sugar, eggs & mascarpone cheese until fluffy. stir in the ginger, cinnamon, nutmeg, cloves, salt & vanilla. pour into lined pie dish and bake at 350 degrees for 45 minutes or until the filling has set. in the bowl of a stand mixer with the whisk attachment add the whipped cream. whisk until soft peaks are formed. add the mascarpone cheese, condensed milk, sugar & vanilla. whisk until stiff peaks are formed. add a generous amount to each slice! happy virtual pumpkin party 2016!!! !